Regular readers of this blog will remember how, half a year back, we did an interview with Tessa Kale, current editor of the Columbia Granger's Index to Poetry—the standard library reference guide to poetry that was first published more than a century ago, in 1904, by Chicago's A.C. McClurg Publishing Company, one of the nation's premier book sellers which was also the first publisher for The Souls of Black Folk and the Tarzan novels of Edgar Rice Burroughs. One of the more interesting things that P&PC discovered while doing that interview is that virtually no one has any idea who the real-life Edith Granger actually was. Apparently, the woman who not only created the index that became part of almost every library's holdings—and that is now in its 13th edition and going strong—but who also loaned her name to its title, has virtually disappeared from our historical record. One reference we consulted even speculated that the person of Granger was actually a fiction created by McClurg to sell books! Well, after months of digging around, and making phone calls, and consulting census reports, and gathering documents, and making trips to Chicago and California, P&PC is proud to report that we have finally found Edith Granger. She was most certainly not a fiction but a very real human being who was born in Illinois, who attended Smith College, who worked for A.C. McClurg in Chicago, and then—for reasons we have yet to discover—moved to California. There, she married William Hawkes at age 39, had a daughter, divorced, ran a prune farm, worked as the Fulton County postmistress, and—as the obit attached to the cemetery index card above indicates—stayed involved with writing partly via the League of American Pen Women. 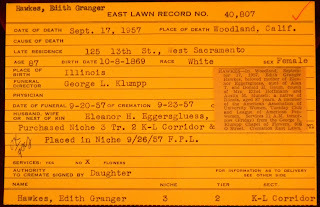 For much of her time in California, Granger lived in Sonoma county, but, after retirement, she moved to West Sacramento—probably to be near her daughter, Eleanor H. Eggersgluess, who had married and was living there. Edith lived at 125 13th Street (presumably in the small house that stands on the property pictured above). 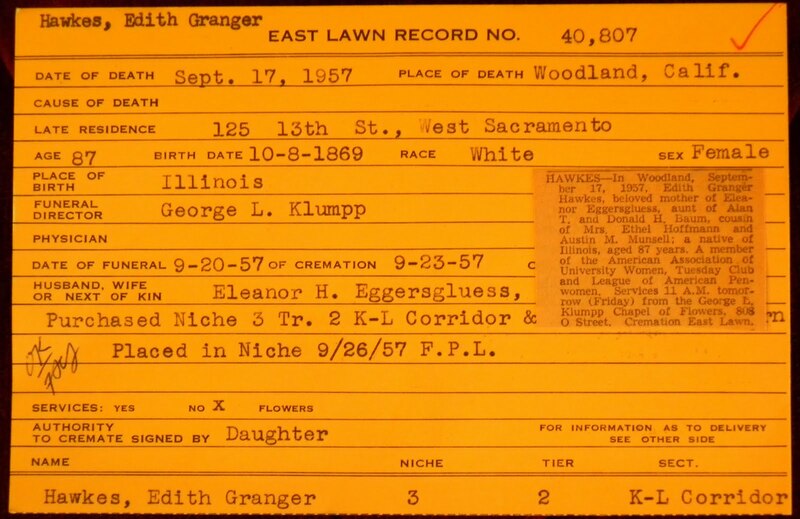 Granger died on September 17, 1957, in a hospital in Yolo County. Following a funeral at the George L. Klumpp Funeral Home, she was cremated and her remains placed in the wall pictured here, at the East Lawn Memorial Park, located at 4300 Folsom Blvd. in Sacramento. Edith's in the second row up from the bottom, in the third niche from the left. We here at P&PC like to think she's perfectly at rest, properly cataloged and indexed on the shelves there in Sacramento, almost like one of the poems she helped to organize, catalog, and index earlier in her life. As the lack of flowers at her niche suggests, however, Granger has indeed been forgotten—not just by poets, literary critics and librarians, but by her relatives as well. 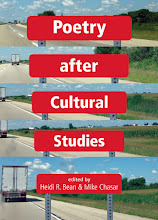 It is for this reason that P&PC suggests that the English departments of two nearby universities—California State University in Sacramento, and University of California in Davis—might take upon themselves the task of remembering Granger more fully. Given the historical recovery work regularly done by English Departments, and given their imperative to chart and remember the many and overlooked contributions that women have made to literary history, a flower now and then—perhaps a poem—doesn't seem much to ask.